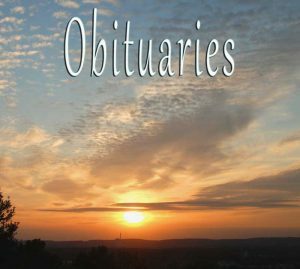 Home G: Obituaries Obituaries: Rudisill ‘Rudy’ Alston Sr.
Obituaries: Rudisill ‘Rudy’ Alston Sr.
Rudisill “Rudy” Alston Sr., age 80, of Coatesville, PA, passed away on Saturday, May 14, 2016, at the Brandywine Hospital. He was the husband of Dorlene Brown Alston, with whom he shared 10 years of marriage. 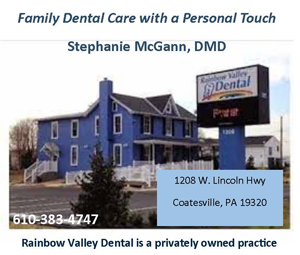 Born in Coatesville, PA, he was the son of the late David K. Alston, Sr. and Ida Belle Eggleston Alston. Rudy was a maintenance engineer at the Coatesville VA Hospital for over 35 years, retiring in 1992. He was a member of the Tabernacle Baptist Church in Coatesville, PA.
Rudy enjoyed dancing, fishing, traveling, teaching games to his grandchildren and being with his family and friends. He was a people person. In addition to his wife he is survived by two sons, Rudisill Alston, Jr. and Sultan McGibboney, both of Coatesville, PA; four daughters, Ellylanna Tippins of Phoenixville, PA, Charmain Thompson, Darlene Alston and Pamela Alston all of Coatesville, PA; six stepchildren, Timothy Brown of Coatesville, PA, Sergio Perez (Joy) of Coatesville, PA, Andrea Perez (Stevie) of Coatesville, PA, Noelia Perez of Coatesville, PA, Mona Perez of Modena, PA and Carmen Perez of Coatesville, PA; three brothers, Willie Alston of Coatesville, PA, Amos Alston of Delaware, and James Alston of Harrisburg, PA; four sisters, Helen Cody of Coatesville, PA, Ida Mae Calloway of Plymouth Meeting, PA, Irene Robinson of Coatesville, PA and Phyllis D. Alston of Coatesville, PA; his mother-in-law Viola Brown of Coatesville, PA; his aunt, Annabelle Eggleston of Coatesville, and several grandchildren and great grandchildren. You are invited to visit with his family and friends from 9:00 to 10:00 on Saturday, May 21, 2016, at the Holy Trinity Church of God in Christ, 101 North Fifth Avenue, Coatesville, PA. His funeral service will follow at 10:00. Burial will be in the Church of Christ Cemetery, 750 Doe Run Road, Coatesville, PA. Arrangements by the Kuzo & Grieco Funeral Home, Kennett Square, PA.